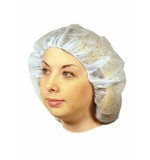 Blue Bouffant Cap 21" or 24" 100/box, 10 box/case 1000/cs ..
Blue Bouffant Caps - Pacifica 100/bag, 5 bag/case (500) .. The classic Surgeons Cap is made of a soft, reinforced material that is absorbent and comfortable to wear. 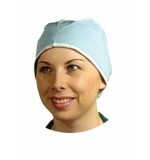 The Nurses Cap is made of a comfortable spunbonded material which is cool and can be worn well for hours. All caps are Latex Free. 100/box, 5 box/case .. The classic Nurse & Surgeons Cap is made of a soft, reinforced material that is absorbent and comfortable to wear. The Nurses Cap is made of a comfortable spunbonded material which is cool and can be worn well for hours. All caps are Latex Free Nurses' Cap, 24", White, 100/box, 5 box/case ..
UniCap Style Bouffant Caps White (dispenser box), 250/Dispenser Box ..